November 8, 2011: Oregonians for Alternatives to the Death Penalty, along with Oregon Capital Resource Center, Oregon ACLU and Amnesty International, have all signed a petition to Governor John Kitzhaber urging him to halt the scheduled Dec. 6th execution of Gary Haugen. The petition lays out several reasons that the Governor should act. Many flaws in the Oregon death penalty system suggest that this execution be stopped and a more thorough examination of the death penalty take place. For years, Aba Gayle "lusted for revenge" against the California death- row inmate who murdered her 19-year-old daughter. But everything changed when she mailed the killer a letter, saying she forgave him. Paying visits to San Quentin prison, Gayle befriended the man she once despised and wanted put to death. As hate gave way to healing, she turned against the death penalty. On Friday, October 21, Sister Helen Prejean told the amazing story of her life as the moving force of the American movement to abolish the death penalty at the City Club of Portland's weekly forum. And what a story it is--from a privileged childhood in New Orleans to working in the St. Thomas housing project to accompanying six men to their deaths at the hands of the state to meeting the Pope and world leaders, writing books and talking to probably millions of ordinary Americans. She speaks with unparalleled moral authority about America's death penalty and why it must be abolished. Jurors are unrecognized victims of the death penalty. I have been debriefing jurors after difficult, traumatic trials since 1999. I've learned a lot about how jurors are affected by their service. Many of these trials involved charges of homicide or child abuse, including five death penalty cases. One factor that causes juror trauma is the type of evidence, which is often graphic and gruesome, involving malice and brutality. This is outside the jurors' life experiences, and it exposes them to a difficult, even horrifying, view of the world. Oregonians for Alternatives to the Death Penalty (OADP) will oppose the execution of Gary Haugen and all executions in Oregon. While this case has had front page headlines for months now, our organization maintains that the death penalty “system” is too broken to fix. There is a lot of finger pointing going on in the media accounts. 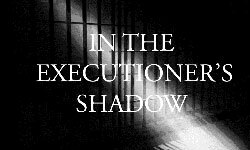 The current news is not the fault of Mr. Haugen, the Judge, the lawyers, the mental health professionals, opponents to the death penalty, the Governor (who has the power to stop an execution), the Department of Corrections, the news media or anyone else. The problem is a “system” that is a failed public policy and provides no real benefit to the citizens of Oregon. This time, Gary Haugen made no long speeches about how the legal system is broken and its money misspent. No talk about dying with dignity or any detailed explanation about why the 49-year-old twice-convicted killer would rather end his life than spend his days on Oregon's death row. Instead, Haugen, his graying hair pulled back in a ponytail, said he would keep his comments to a minimum. "I can't go on," he said in a low, calm voice. "This is going to be one time where I just don't do a lot of talking, because I'm ready, your honor. Because I'm ready." An Oregonian Asks: Does a Killer Have the Right to Die? By Marilyn Sewell -- Gary Haugen wants to die. Or at least that's what he says. He is a convicted killer who has repeatedly asked to have his appeals waived. Haugan beat to death his girlfriend's mother in 1981, and in 2003, killed a fellow inmate, who ended up with a crushed skull and 84 stab wounds. Haugan was to be executed at the Oregon State Penitentiary in Salem, Oregon, on August 16, but his execution has been postponed until a judge orders a mental competency evaluation. Read more about An Oregonian Asks: Does a Killer Have the Right to Die? Regarding "Hard choices: Oregon's money crisis" (Sept. 29): In a time of extreme budget crisis within the state of Oregon and the country as a whole, simple ways to reduce budgetary deficits while continuing to provide the citizenry with necessary social services at an adequate level seem all the more important. One very simple way to accomplish this goal, as well as ensure that we have a criminal justice system for all Oregonians, is to abolish Oregon's capital punishment statute. Oregon has come perilously close to sentencing people to death for crimes they did not commit. Five people have been convicted of murder, or aggravated murder, and given sentences ranging from twenty years in prison to life without the possibility of parole. Death penalty supporters insist that the system in Oregon has made no mistakes because no death sentenced person has been exonerated. It is only through pure luck that this has not happened. Oregon does not need the death penalty – it is too risky and cannot be undone. An editorial The Daily Astorian, contrasts the state’s use of funds for the death penalty to the state's reduction in funding for education. “The glaring contrast to our unquestioning spending on the death penalty - which Judge Lipscomb called ‘this largely futile attempt’ - is our disinvestment in education,” the paper noted. “Investment in education is about the future, and it is about hope. Investment in prisons and especially in the death penalty is about a final reckoning, an admission of gross failure.